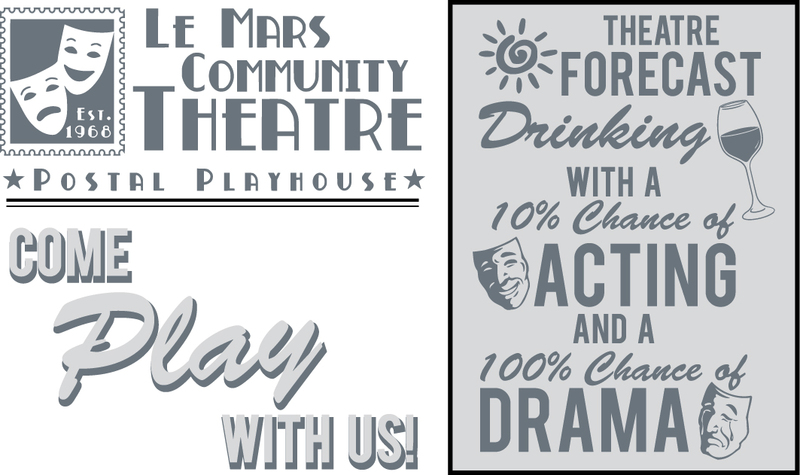 This Web Store is for Le Mars Community Theatre. These items are made as they are ordered. Choose LOCAL PICKUP and we will call you when it is ready to be picked up at our store. Or you can choose to pay for SHIPPING.